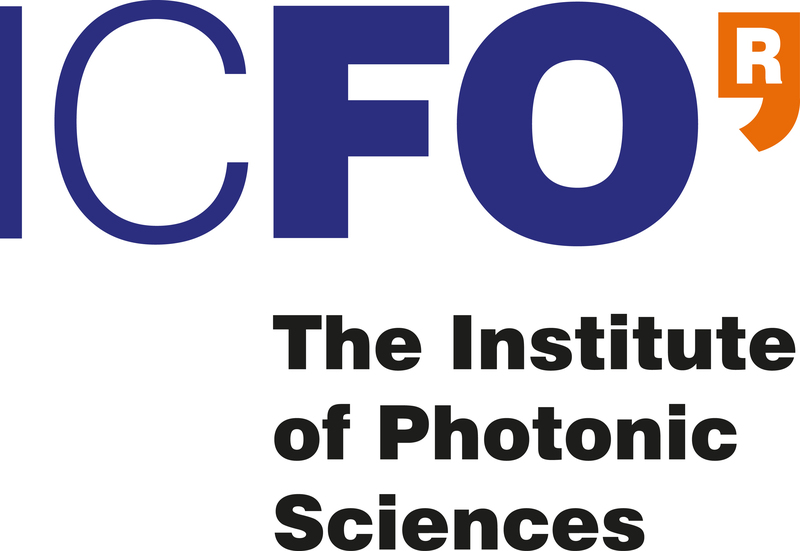 ICFO - The Institute of Photonic Sciences (www.icfo.eu) was created in 2002 by the regional government of Catalonia and the Technical University of Catalonia. The Institute was launched from scratch with the mission to become a world-leading research centre in Photonics. ICFO currently hosts more than 300 researchers organized in 23 research groups working in 60 state-of-the-art research laboratories, equipped with the latest experimental facilities and supported by a range of cutting-edge facilities for nanofabrication, characterization, imaging and engineering. The Institute is located in a specially designed, 14,000 m2- building, situated in the Mediterranean Technology Park within the metropolitan area of Barcelona. ICFO hosts 13 elite ICREA Research professors, 18 European Research Council projects and 6 Fundació Cellex Barcelona Nest Fellows. ICFO will lead the WP2 (Photonics challenger projects @ photonics-enhanced Fablabs) and will also have an active role in the development of workshops, the gender action team, the dissemination activities of the project, and be a support asset throughout the whole project. ICFO has chosen “Photonics for Life” as the topic for developing the workshops and Challenger project. This topic will bring participants closer to how photonics can be the core technology of applications, gadgets and wearables that measure or monitor life-related parameters. ICFO has a strong “Light for Health” focus programme, and several research groups working in different topics around “Photonics for Life” and biophotonics, concentrating a broad knowledge on photonics technologies and applications in this field, such as early diagnosis sensor, quality control systems, imaging technologies, and medical devices among others. ICFO collaborates with local hospitals, health care centers, biomedical research centers, Universities and corporations. ICFO is an organization known by its excellence in research, but also for its outreach activities and active role in this field at the European level (http://outreach.icfo.eu/). In this regard, ICFO is one of the founding members and coordinator of ECOP (the European Centers for Outreach in Photonics alliance). ICFO has also been the coordinator of GoPhoton!, a FP7 project that has reached out to over 2,000,000 people across Europe, and it has also been work package leader in the H2020 project LIGHT2015. ICFO actively promotes Outreach activities through its Knowledge and Technology Transfer Unit (KTT). ICFO’s Outreach activities aim to inspire students, teachers, fellow scientists, the general public and industry at large, demonstrating the photonics, and its underlying disciplines (STEM) as a tool for research, technology, industry and society. ICFO is very proactive in fostering entrepreneurial activities and spin-off creation. To date ICFO has helped create 5 start-up companies. The centre participates in incubator activities and seeks to attract venture capital investment. ICFO hosts an active Corporate Liaison Program that aims at creating collaborations and links between industry and ICFO researchers, and hosts an IBM Faculty Award, a Corning Incorporated Chair, and the Nikon Centre of Excellence in super-resolution STORM imaging. ICFO transfers this entrepreneurial spirit and disseminates the opportunities that photonics careers pose to students through LIGHHTtalks events, created by ICFO within GoPhoton! and that have been replicated in more than 20 countries. STEM cover the disciplines underlying photonics, and ICFO organizes many activities and events directed to promoting it. In this regards, ICFO will lead one of the workshops of the STEAM International Conference taking place in Barcelona, giving visibility to the multidisciplinary nature of photonics as well as its broad range of applications. Of special importance to PHABLABS 4.0 is the proven experience of ICFO in the development of activities and actions that will ultimately be implemented by other organizations, and have thus to be designed with the target audiences and idiosyncrasies of the end-user organization in mind. A good example of this is the photonics workshop “Toca la Llum” (“Touch the Light” in English) that ICFO has created for CosmoCaixa, Barcelona’s science museum, which is directed in different adapted modules to young students, teachers and general public.